I picked a panto and quilted one row. This is what it looks like under the frame. 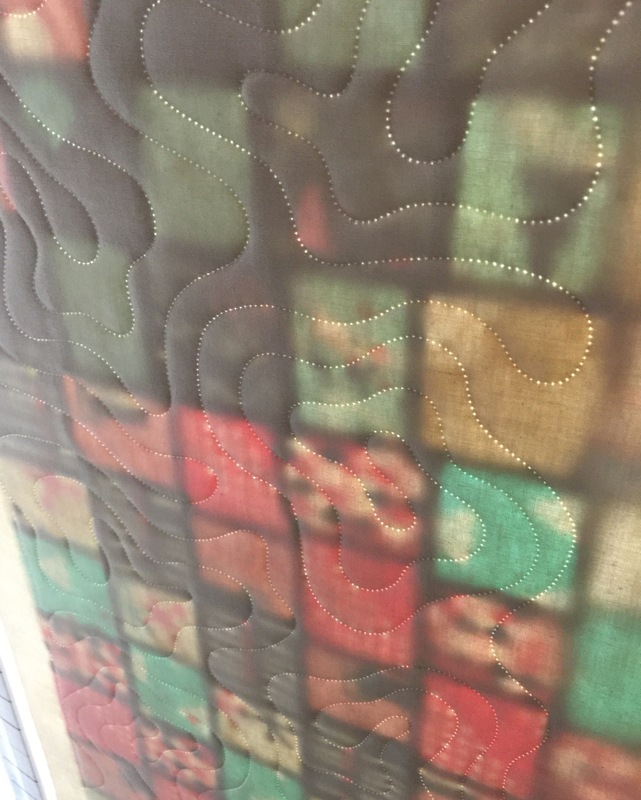 This entry was posted in Bed Quilts, Long Arm Quilting, Longarm Quilting, Pantographs. Bookmark the permalink. 3 Responses to A Start…. 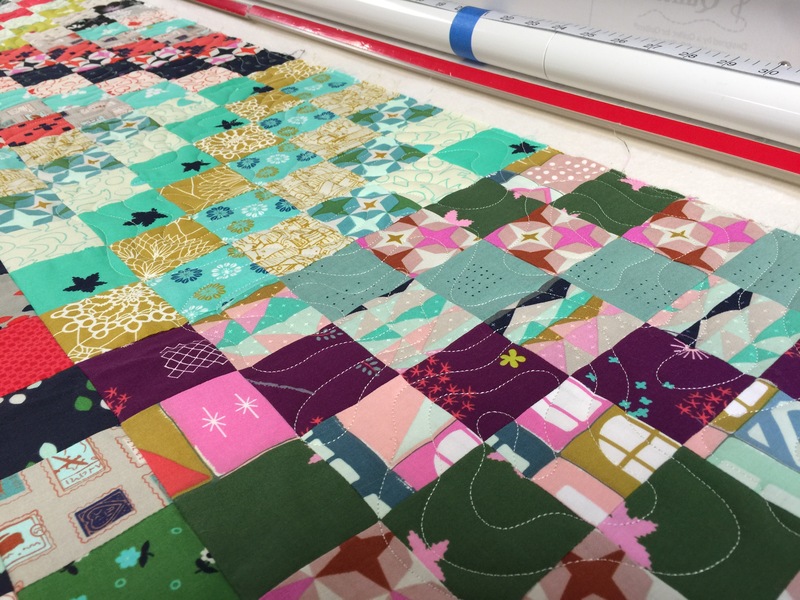 Your photography is as fabulous as your quilting! I made a quilt top like this too and was wondering how you were going to quilt it. I like the design you chose and may do something similar. Looks good, Katy! I like the quilting pattern you’re using. 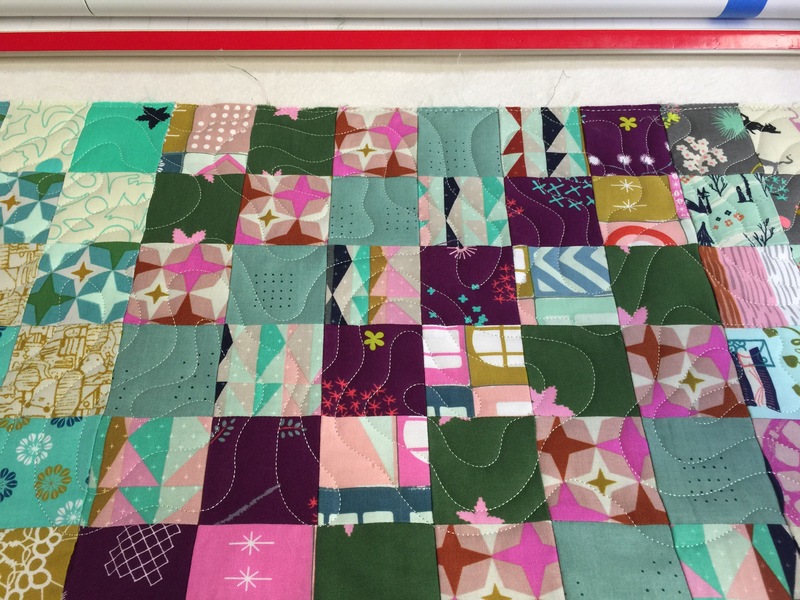 This is going to be another fun quilt!